Everything and everyone in the Universe is in a state of vibrational energy that constantly radiates and receives different frequencies, whether they are audible to human ear or not. We are beings of light energy as are all beings. Every cell in our bodies have their own vibrational frequency. If we could hear our own sound, we would be amazed to hear a beautiful symphony of resonating sounds. In good health, we are "tuned" - our body, mind and soul are in perfect harmony. But the sound changes, when we are emotionally or physically dis-eased - we are "out of tune". Before illness is manifested in the physical body, it starts on the energy level. Sound has been used as a powerful and effective tool for helping to improve health and well-being for thousands of years. More recently, the advancement of new science has provided valuable support and insight to these ancient techniques. If we were to look at your body with a powerful microscope you would see that it is not a solid object but is, in fact, a myriad of tiny particles of energy. Over time these particles are subject to a variety of different stress-ors such as diet, lifestyle, environment, relationship, job and other factors. These can cause imbalances and weaknesses in the system which could lead to illness and disease. Sound has the quality to resonate. And this quality allows us to use harmonically related frequencies to influence vibrations of any atom in our surroundings and in us. Human body is made of about 70% of water and therefore is a perfect sound resonator. Every cell in our body responds to all sounds that surround us. Sound vibrations affect every cell and organ in our body and because sound transforms matter, it makes changes on mental, emotional and spiritual level. It also affects nervous system in the body as it promotes relaxation and inhibits stress and pain relief stimulus. It slows down and synchronise breathing and heart rate, which creates so-called "cardio-respiratory synchronisation" - the ideal state of the body to release blocked energy and to return body, mind and soul back into balance and harmony. In times of stress, when the immune system and emotional intensive events, sound healing has very beneficial and soothing effect on the individual. It eases physical pain in joints and muscles and allows deep muscles relaxation, helps with digestive problems, headaches, eliminate toxins from the body, regulates blood pressure, helps to overcome negative behaviours and aligns chakras. Sound healing is the use of physical sound vibrations for therapeutic benefit. It is unique among healing modalities because we can feel its effects through the vibrations it creates in our bodies and at the same time, it works to balance the subtle energy fields. 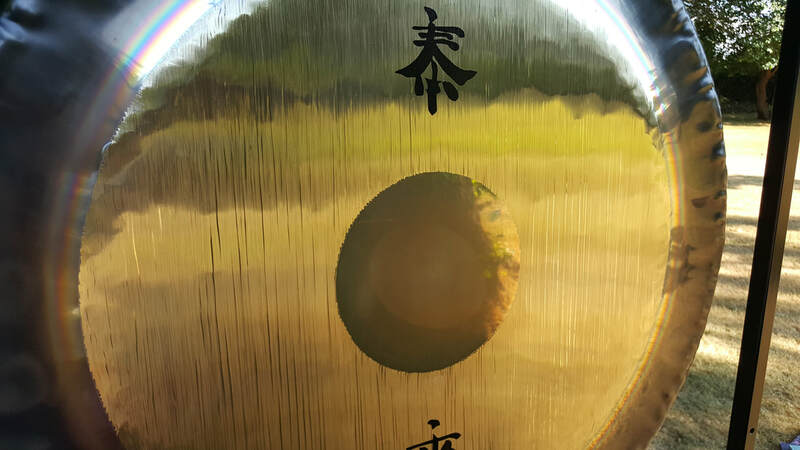 The sound vibrations are typically produced by sound healing instruments (in my case singing bowls and gongs), deemed so by their unique characteristics to produce pure sounds, rich in overtones and harmonics, that interact in a positive way with our physical body, emotions and subtle energy fields. The main purpose of sound healing is to restore the harmony in our bodies and to bring peace in our lives. What modern science proves now about sound, vibration and matter, was very well known to ancient mystics and used (and still is) by shamans and healers in different cultures. The ancients knew that words, thoughts and different sounds create vibrational energy that can reach any place in the Universe and affect physical matter. 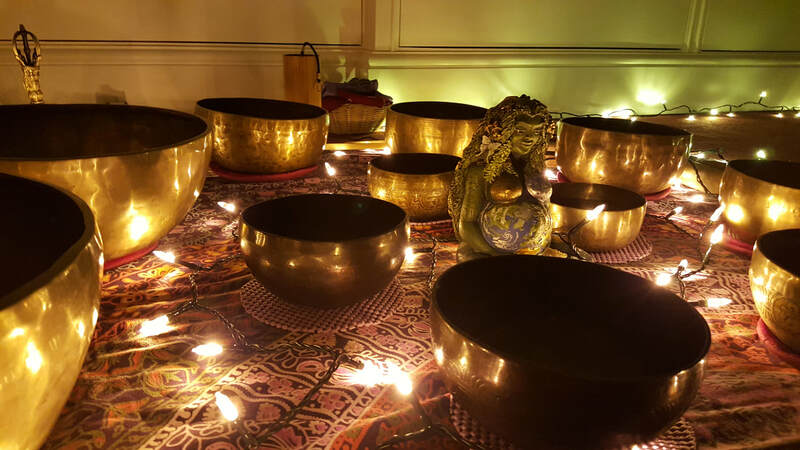 Instruments like Himalayan singing bowls and gongs, that produce strong overtones, have strong resonating properties and powerful ability to transform. Therefore they are real magical instruments. Played with a positive intention, which has its own vibrational frequency too, they become ultimate tool for positive changes in us and our environment. For more benefits of Sound Healing, go to Benefits of Sound Healing.